Weathermen have issued a mixed forecast for November. 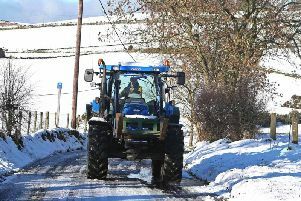 The Met Office says that although conditions are uncertain, it’s likely that the number of storms will be below average for the time of year. But it’s probable that the country will be hit by a particularly cold spell. The Met office UK forecast for November 5 to November 14 is: ‘For next weekend cold and unsettled weather is expected across the UK. ‘Winds are expected to be predominantly from a northerly direction and occasionally strong, bringing rain and blustery showers to most, with some snow possible over higher ground in the north. ‘There will be some brightness in places, but temperatures are likely to be below average, so feeling much colder for most compared to last weekend. Further ahead in the period there is a large degree of uncertainty, but signals suggest mostly below average temperatures, perhaps with brief milder interludes. The longer-term forecast, for Tuesday November 15 to Tuesday November 29, is: ‘The forecast remains very uncertain for mid to late November. ‘However, spells of windier and stormier weather look to be less frequent than would normally be expected for the time of the year. It looks more likely that we’ll see a continuation of winds from a broadly northerly direction, particularly in mid November, bringing colder than usual temperatures, with potential for widespread frosts at times. ‘It will likely be a mixed period of weather, with periods of unsettled, breezy weather, bringing rain or showers, and perhaps snow over higher ground in the north.